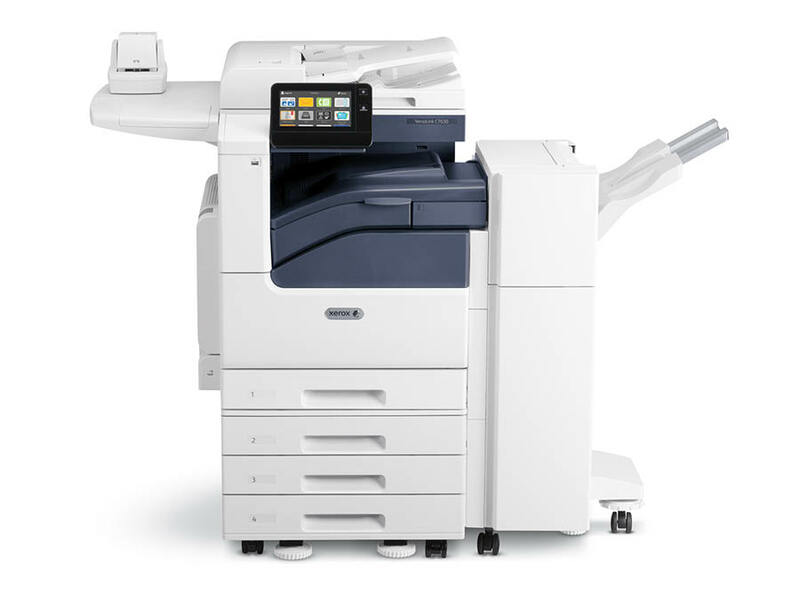 Its small A3 footprint and quiet operation make the VersaLink C70xx series color multifunction printer ideal for small workgroups and customers printing an average of 5,000 pages per month. Powered by the Xerox® ConnectKey™ Controller, the VersaLink 7020 / 7025 gives you practical solutions that easily streamline how you communicate, process and share important information. Work isn’t always confined to the office – and neither are you. The VersaLink C7020 / C7025 gives you the freedom and convenience to work when you want, where you want. Powered by ConnectKey, the WorkCentre 7200 series provides tools for printing and scanning--even from the emerging cloud-based repositories that help improve how we work today.